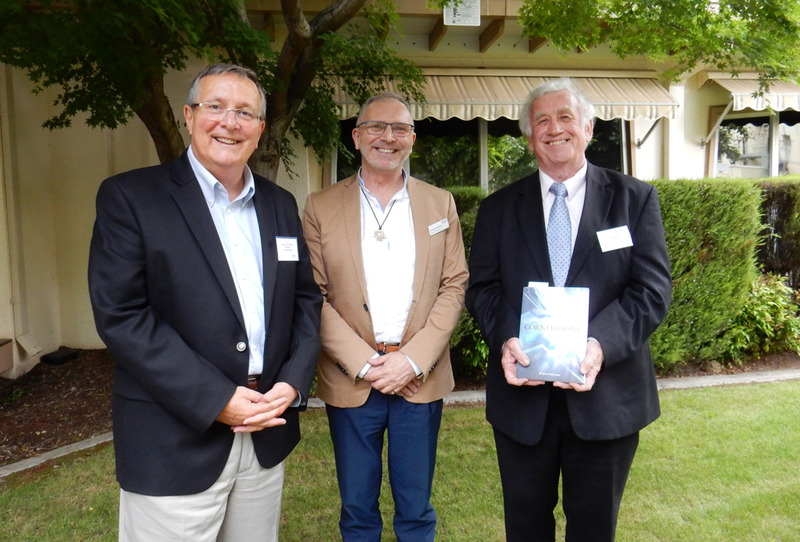 Deputy Dean of Australian Catholic University’s (ACU) La Salle Academy Associate Professor William Sultmann has published a new book that explores and asserts the centrality of Christ as the cornerstone of the Catholic school. Cornerstone: Encountering the Spirit of Christ in the Catholic School is a scholarly invitation that integrates contemporary themes from Educational Philosophy, Theology and Spirituality and will be welcomed by all who share a concern for Catholic school mission and identity, Catholic school leadership, religious education, ministry, evangelisation and formation. Chair of the National Religious Education standing committee Sister Elizabeth Dodds RSC launched Cornerstone at a reception hosted by the La Salle Academy for National Religious Education Colloquium participants. Those practical responses are explored in six chapters that combine faithfulness to the Catholic tradition with contemporary insights into the nature of education, how we learn as individuals and communities and how the Spirit of God enlightens our endeavours as Catholic leaders, teachers and educators. The book is sensitive to and reinforces professional practice shaped by a Catholic Christian meaning system; explores this meaning system through spirituality, mission and leadership; and develops ministry as the integrating quality for service and communion within the Catholic school.